With this item you will earn 92.97 Points in Homespun Rewards! 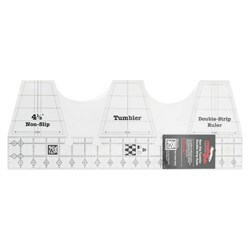 Use the straight side of this double strip ruler to cut 1-1/2in and 2-1/2in strips, or use the pre-cuts that are on the market. Sew these strips together to create a 4-1/2 inch wide strip set. 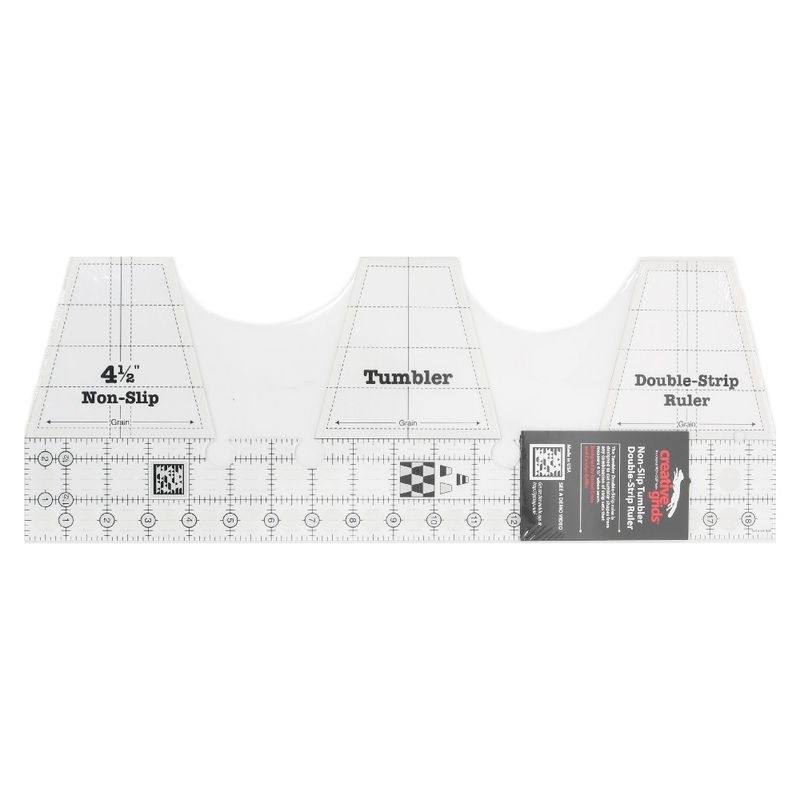 Turn around the ruler to cut five tumblers that finish 4in. Multiple layers can be cut at one time. The key holes in the ruler enable the rotary cutter to cut the sides without damaging the ruler.